"Prior to the assault on Berlin, this formation's tank companies were completely re-equipped with new M4A2 Sherman tanks, handing over their T-34/85 vehicles to other units of 2nd Guards Tank Army." 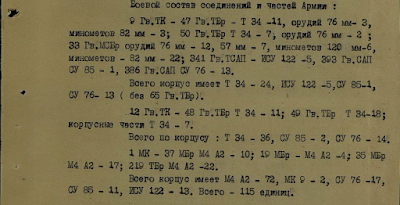 Ignoring how it's completely unreasonable for an experienced formation to swap over all of their tanks before a pivotal battle, let's look at the composition of the 2nd Guards Tank Army prior to its offensive on Berlin. 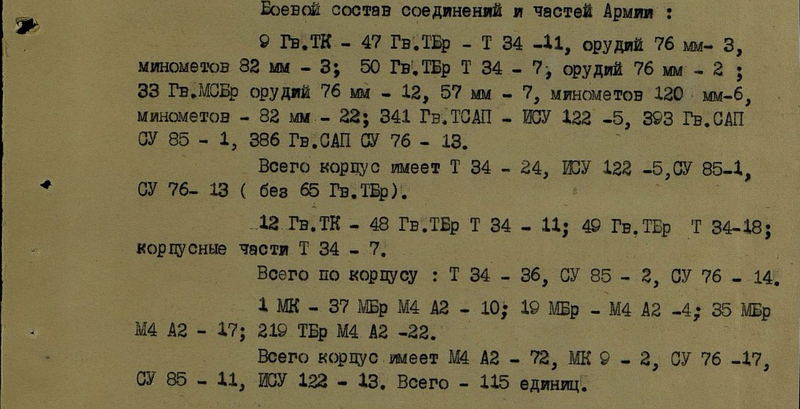 1st Mechanized Corps: M4A2: 165, ISU-122: 21, SU-85: 6, SU-76: 16, total 213 vehicles, including 5 M4A2 tanks in repairs. 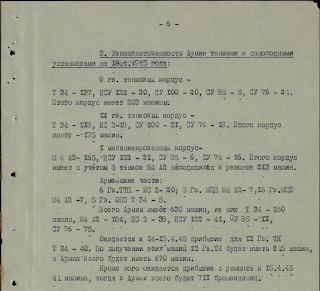 In total, the Army has 630 vehicles, of those T-34: 260, M4A2: 184, IS-2: 38, ISU-122: 41, SU-85: 11, SU-76: 75." As you can see, the 1st Mechanized Corps does indeed have no T-34s left, but the two other corps (both Guards formations, so no quarrel about eliteness here) are full of them. Clearly, the Red Army thought it was perfectly fine to have T-34s attacking Berlin. But what about the other claim? Did the 1st Mechanized Corps really trade in all their T-34s? 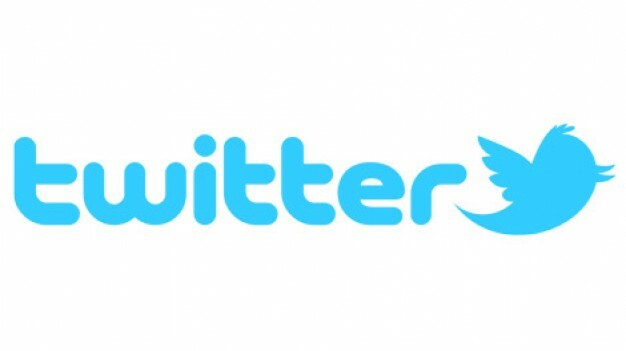 Let's rewind the clock a little bit. 1st Mechanized Corps: 37th Mechanized Brigade: M4A2: 10, 19th Mechanized Brigade: M4A2: 4, 35th Mechanized Brigade: M4A2: 17, 219th Tank Brigade: M4A2: 22. In total the corps has: M4A2: 72, MkIX: 2, SU-76: 17, SU-85: 11, ISU-122: 13, total: 115." March 11th, 1945, the unit still has the same structure: a bunch of Sherman brigades supported by light, medium, and heavy SPGs. There are no T-34s here to trade in. Let's go further back still. 1st Mechanized Corps: 15 M4A2 tanks, of them 2 in minor repairs, 11 in medium repairs, 2 in major repairs, 30 MkIX tanks, of those 15 in medium repairs. These tanks were received on September 10th and 11th after factory repairs." Way back in September of the previous year, long before anyone was planning an offensive of Berlin, there are still no T-34s here. The only tanks the 1st Mechanized Corps lost between then and Berlin were the Valentine MkIXs. The US only shipped about 5,000 Shermans to the Sovs, so there weren't enough available to replace all of the T-34's, much as that would have been every experienced Sov tankers' preference. They replaced everything they possibly could, with the limited amount of Shermans they were provided, so as to take advantage of the Sherman's proven superiority . Oh, I love Western Russophobia. This entire blogpost was dedicated to knocking out a claim by suggesting a probable origin and defeating it. Without even trying to reinforce the claim, you just go right on to saying it is true anyway. Are Westerners really so Russophobic that they genuinely think such arguments can pass? As a proposition, it is pretty unlikely anyway. 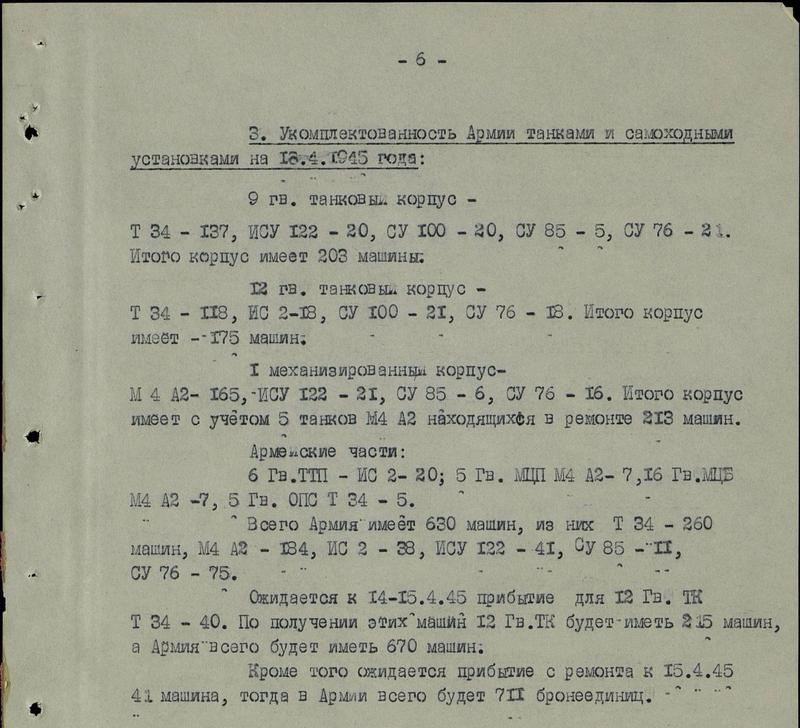 To even begin to have a qualified opinion, you will have to have a Russian tanker who has ridden both to a good degree, and that seems a bit unlikely seeing that the Soviets tended to isolate Western equipment (and contact with Westerners, limited as it is) into *specific* formations like 9th Mechanized Corps. Yes, Loza claims he toyed with a T-34, which might just be true, but he didn't play around it enough to even realize that his claim about the relative track pressures is untrue or his Sherman had extended end connectors that would have made it the envy of those Shermans sinking in the bocages of Normandy. He did, nevertheless, notice that the Sherman flips over more easily, it can't turn in place, and while those rubber tracks may have been quiet and smooth when things get rough they can't take the heat and they can't grip the ice either. He does mention some nice things about the Sherman in his interview (http://iremember.ru/en/memoirs/tankers/dmitriy-loza/), such as its lesser prospensity to explode, its greater comfort ... but overall he definitely does not say that the Sherman is "proven superior". BTW, even the lower survivability of the T-34 may be exaggerated, at least according to Nicolas Moran (the Chieftain), who was definitely not out to defend the T-34 (he was defending the Sherman) when he posted statistics (https://youtu.be/bNjp_4jY8pY?t=39m) that effectively said the loss rate of Americans using Shermans was 0.9 (dead+wounded) per knocked out tank. Brits using Shermans were about 1.5 (which Moran attributes to Americans using hard helmets), and the Polish using T-34/85s was 1.8. The difference is there, but if you compare Polish v Brits it is not that dramatic. There are, in any case, a good number of Su-76Ms, T-70s and British lend lease vehicles to replace first. Shermans were superior to T34s in equipment. They had heavy machine guns mounted on the top of the cupola, radio operator had better sights for its machine gun, main gun should use powerfull HVAP rounds and it had gun stabilizator. But this things + some other do not make it better tank for soviets themselves. T34 advantages result from its main features. Rear put engine with rear driven wheel safe a lot of space because there is not need of cardan extending from the back to the front and tank must higher cause turret basket, silhouette is higher and maintenance too. T34 internal space allowed to make SPGs like SU 100. T34 was great superior in mobility. It had much better power to weight ratio. This advantage allowed to this tank use itself for finishing enemy equipment by tracks. Its mobility was also important when breakthrough was done and you needed to prevent the enemy recover its forces. Mobility is also important for flanking maneuvers. As the proof about how good motored this tank was, is fact that heavy tanks and SPGs used the same engine (and M4A2 wasnt better in mobility than them) and this http://tankarchives.blogspot.sk/2014/10/t-34-tractors.html. In the armament the M4 was slightli better in antitank fight cause gun stabilizer. But I dont know how much americans sent of their own better amunition because whent the russian crew used up this amunition they had to use ZIS 3 ammo which had lower penetration. While soviet tank have a little bit bigger caliber than american one, the difference in the weight of HE amunition is abysmal. The american one has 5,3 kg and russian one 9,5 kg. The weight of explosive charge is 0,39 kg in contrast to 0,775 kg. This mean that for urban combat, entreched positions was more usefull the gun of domestic tank. Hmm, I would have wondered if spare parts for Shermans would have been harder to come by than those for T-34s, which would be a problem in maintenance during operations. Also the commentary above about Shermans having HVAP arounds I very much doubt too--as Americans didn't have ehough to equip *their* Shermans (they were reserved for the TDs)...so how could they afford to be sending them to the Soviets? (Not to mention that tungsten core subcaliber rounds' actual performance vs theoretical performance diverged due to 'shattergap'; providing a subcaliber round for an otherwise inferior gun does NOT equalize it to superior gun). The difference in firepower alone (the 85 mm gun with its standard ammo is considerably superior in both AT and HE capability to the 76 mm on the Sherman), the superiority in the T-34's tactical mobility, and the modest improvement in armor protection would make me prefer the T-34. As David Glantz has noted, though many armor aficionados engage in tank-vs-tank battles, the real advantage of the T-34 was that the German infantry division's towed AT compliment had not improved greatly since the start of the war; there weren't enough towed 75/48s in each division, and the T-34/85 was largely immune to hits from the 50 mm and 37 mm AT guns. This meant that German infantry divisions unsupported by armor (and there simply wasn't enough German armor around) struggled to withstand Soviet tank-supported attacks. The British Sherman units were predominantly equipped with "dry stowage" Shermans (M4A2 and M4A4) while the U.S. units were progressively re-equipped with "wet stowage" versions. The "wet stowage" version had the main gun ammunition stowed beneath the turret floor which greatly reduced ammunition fires after penetration. It was the reduction in propensity to "brew up" after penetration that contributed to the reduction in casualties. The T-34/85 had main gun ammunition stored in the rear of the turret which makes it particularly vulnerable to ammunition fires after the turret is penetrated. That and the lack of easy escape for the driver and the bow gunner probably contributed to the similar casualty rate as "dry stowage" Shermans. The 85mm armor piercing performance is, at best, on par with the U.S. 76mm. The HVAP did not have the shatter problem - it was the shape that was not optimized against sloped armor. Soviet uncapped AP ammunition that appeared later in the war had better performance against sloped armor. However, U.S. tests done on Soviet AP ammunition showed poor quality control. Variable performance can be expected in combat.